So many similarities, so little learnt. Why should we expect a different outcome, when you follow the same path? We now hear there exists a secret compensation fund. How has this been set up? How much does it contain? How will it operate? How has it been established without the apparent knowledge of the County Treasurer? How is three years not enough time to improve the in-house service and address the supposed overspend? It’s no use putting forward photographs of dilapidated facilities as evidence that the service needs to improve. The Conservatives have been in charge of the service for 8 years. You are responsible for the mess. Own it. And finally, John (Osman), don’t sit there and tell us that you make these decisions with a heavy heart. Every single Conservative county councillor went out in 2015 and actively campaigned for the election of Conservative MPs, whose express policy was the continued hammering of the Council’s budget. The Council’s financial position is not a surprise to you. It is what you campaigned for. Followers of my blog will recognise flytipping as an issue that I’ve raised and returned to from time to time. In 2010/11 there were 407 incidents of flytipping across the Taunton Deane Borough costing council taxpayers a total of £11,705 to clear up. Pretty bad, yes? Well, it got a lot worse. After Conservative-controlled Taunton Deane and Somerset County councils introduced fees to deposit certain types of waste at Household Waste Recycling Centres, and limited the opening hours at many of the sites, flytipping incidents, entirely predictably, went through the roof with 681 incidents the following year, with clear-up costs doubling to £22924. Flytipping in Taunton Deane peaked in 2014/15 with 864 incidents costing a whopping £45,270 in clean-up. Incidents fell back a little in 2015/16 (the last full year for which figures are available) but there were still 785 flytips costing £43,525 to clean up, 4 times the cost before the tip closures and fees were implemented. 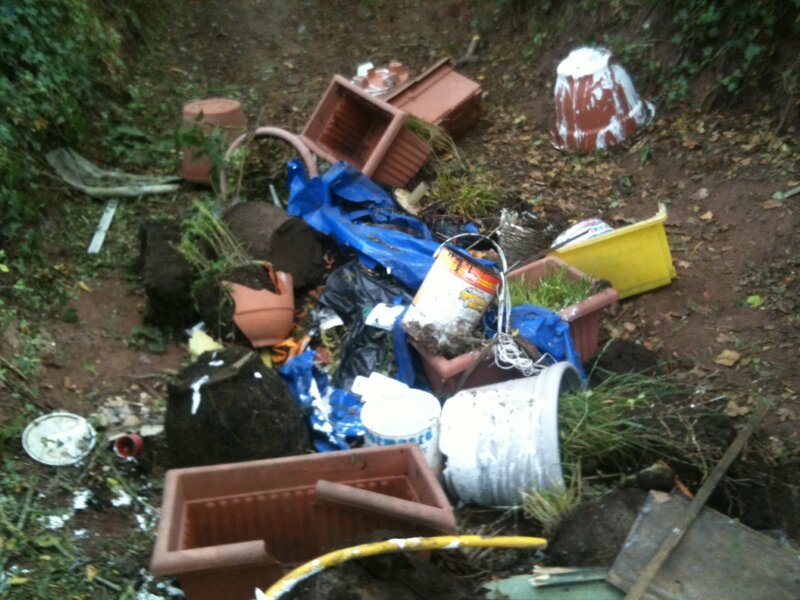 Using 2010/11 as a baseline, Taunton Deane has spent over £100,000 cleaning up the additional flytipping. It was inevitable that the tip closures and fees would lead to more flytipping. Even the Government Minister in charge said so at the time. Eric Pickles, no lover of Council spending, said in April 2011, “Charging for using recycling centres and the local dump will create perverse incentives for fly-tipping, harming the local environment and diverting tax-payers’ money into clearing up. I’m pleased that Somerset Waste Partnership responded positively to my campaign and re-opened some of the principal recycling centres on a 7-day/week basis but the time has come to re-open all the sites and abandon the fees. The County Council then set about finding bidders interested in running this enterprise. The exercise yielded only one bidder. In my view that’s all the indication you need that there is effectively no market in this type of service. Would you employ a tradesman on your home having received only one price? But, being ideologically wedded to outsourcing everything, the county council pressed on, agreeing terms with the single bidder, and making extravagant promises to the staff that their terms and conditions would be protected in the new company, which is due to take over in April 2017. 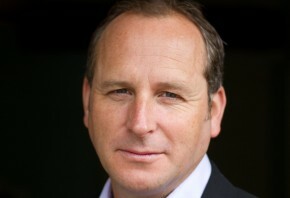 Early on, concerns started to emerge that the social enterprise (Dimensions UK Ltd) might not be as cuddly as had been billed. It was discovered that any profit generated by the enterprise would not be saved for use in Somerset but would be distributed throughout the new company’s other operations in the UK. Now, we discover that those promises to protect the staff might be worthless. Dimensions UK Ltd has issued a letter to Somerset County Council indicating that it intends to make a large number of the staff redundant and degrade everyone else’s terms and conditions, including pay. If the county council agrees to these measures, some staff will end up earning barely more than the minimum wage and less than someone stacking tins of beans in Lidl. A highly-motivated and well-trained workforce has been misled throughout an exercise to outsource to a private contractor. Given what we now know, would the service users and their families still back the ‘Social Enterprise Vehicle’? Somehow, I doubt it. It’s time for Somerset’s Conservative administration to stop this ideologically-driven outsource and reconsider. There are elections just three months away and such a decision, affecting vulnerable people as well as so large a part of the council’s workforce ought to be deferred to what could potentially be a new administration. Following my Facebook post FAQ, further questions have been raised and I have some answers. Q. When will the 30mph temporary speed limit be implemented? A. 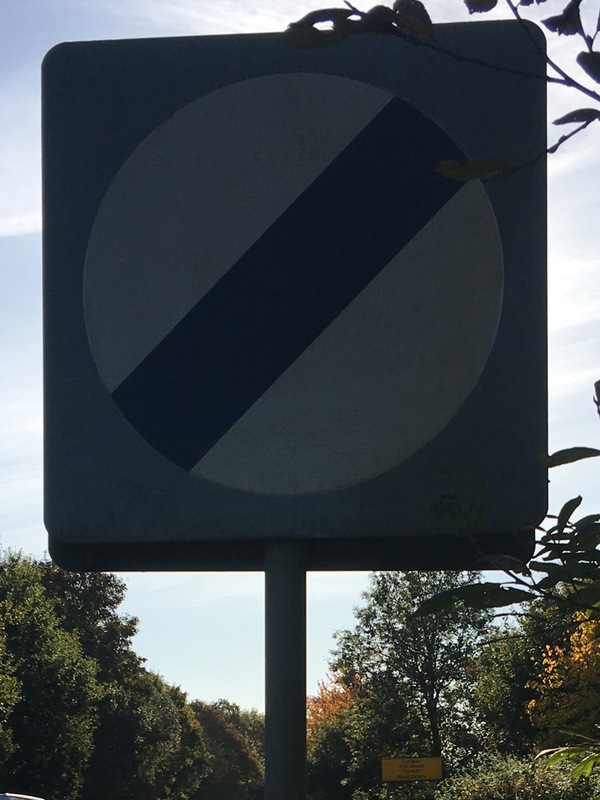 The current plan is to keep the disruption to a minimum and to delay the imposition of the speed limit for as long as possible, currently til mid-November. This will be kept under review and, if safety concerns dictate, it will be brought in sooner. Q. What traffic control will be in place during the works? A. It had previously been thought that two-way flows on the A358 would be maintained throughout most of the works. This is not now the case. 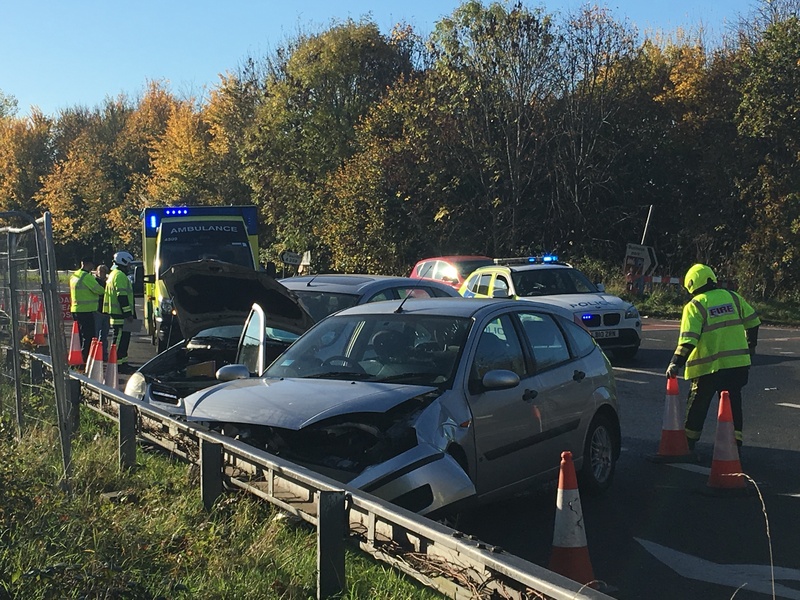 From mid-November, the southbound lane of the A358 will disappear, leaving just the northbound lane. This will be controlled using three-way traffic signals, one for each direction of the A358 and one for Greenway Road. This does have the potential to cause significant disruption. I have asked County and the contractor, SWH to consider how this may affect the village and the risk of rat-running using Taunton Road and Minehead Road. They will be producing a list of recommendations in the coming weeks. Q. 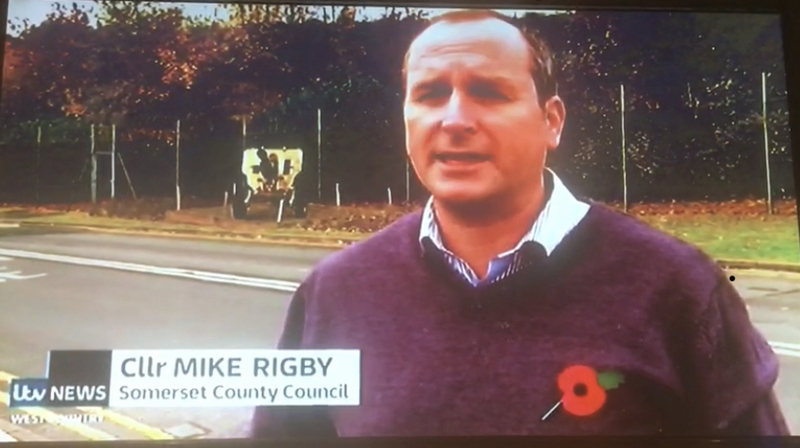 How will the pedestrian crossing on the A358 work? A. It will be linked to the 3-way signals. New tarmac paths will link the crossing to the existing footways. The position of the crossing (between the underpass and the roundabout) will vary during the works. Q. Can a temporary bus stop be provided to replace the suspended stop on Station Road? Q. What has happened to the No. 23 bus at Greenway? A. I have asked County to investigate whether alternative arrangements can be put in place in order to retain the service, which appears to have been suspended during the works. Q. Will the dark spot at the western end of the underpass footway be fixed by new streetlighting? A. Yes, new carriageway lighting on the Greenway Road arm of the roundabout will fix this. Q. The current signage suggests that the A358 is closed and that there is a diversion through Bishops Lydeard. Can this be rectified? A. I have raised this with County and SWH who will see if this can be made clearer. This Q&A will be a regular feature on my site throughout the duration of the works. Please feel free to keep asking questions – mike@mikerigby.org – and check back here for progress reports and updates. Electorate: 2336, votes cast: 733, turnout: 31.38%. This makes us the first community in Somerset to pass their neighbourhood plan at referendum, quite an achievement. The Committee responsible for preparing the plan are very pleased that it has been approved and that it will now proceed to adoption in a month or so. Once adopted, Taunton Deane Borough Council, the local planning authority will have to make planning decisions in accordance with the neighbourhood plan. As well as this additional control, the community will also benefit from an increased rate of returned Community Infrastructure Levy funding, with 25% of the levy being passed to the Parish Council rather than 15%, ensuring that as much of the funding generated by new development is spent in the community affected. As the Chairman of the committee that produced the plan, I’d like to thank the Committee Members Paul Partington, Jane Warmington and Clive Martin and the Chairman of the Parish Council, Henry Davenport for all the work and time that they dedicated to the task. Thanks also to Ann Rhodes and her staff at TDBC for their support, thanks to the people of the two parishes who attended meetings, exhibitions and responded to surveys, which informed the process. But mostly, our gratitude must go to our Parish Clerk, Amy Shepherd, who guided us through the process, kept us on track and provided all the logistical support to get us to this point. And thanks to everyone that voted. 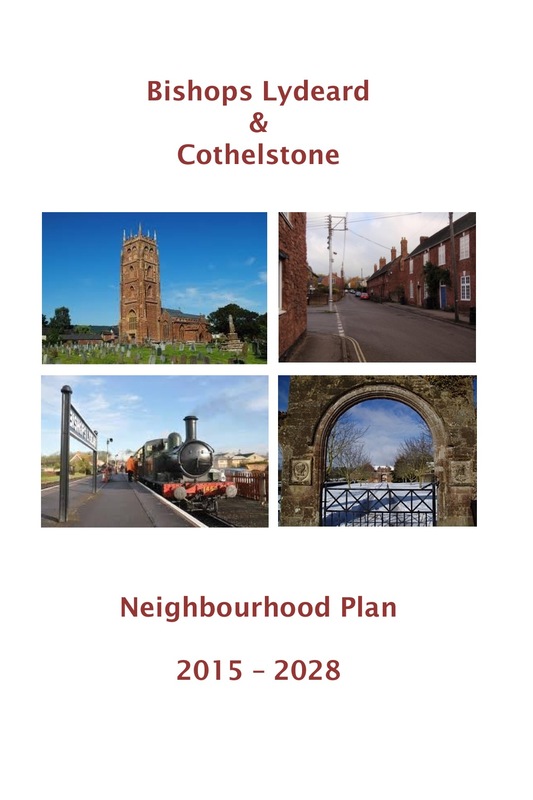 This Thursday, voters in Bishops Lydeard and Cothelstone Parish can have their say on whether the Neighbourhood Plan for the two parishes ought to be approved. 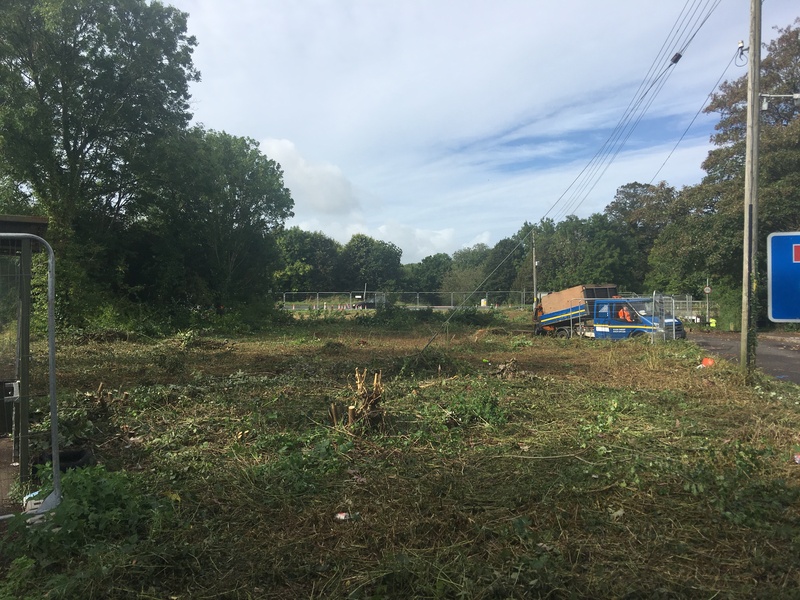 Taking advantage of new legislation, volunteers from the community, including parish councillors and local residents have produced the plan over the last few years as a means to take greater control over development. Built on views gathered through, exhibitions, numerous public meetings and a parish-wide survey, the plan contains policies on employment, tourism and housing amongst other things. It is important to note that the plan cannot stop all development. It has to conform with Taunton Deane’s Local Development Framework, which requires Bishops Lydeard to accommodate up to 200 new homes. These new homes will be built regardless of whether the Neighbourhood Plan is approved. However, by having a Neighbourhood Plan, we have the opportunity of controlling where and how they are built and we can influence the type of housing that is built and what else comes with the development, e.g. allotments, open space, woodland. This is what the plan does. New housing development will require infrastructure to support it whether that’s transportation, health or education. Much of this is now funded through a levy on new development, called CIL. CIL funds are collected by Taunton Deane and partly spent by them on infrastructure anywhere in the Borough. Some of the funds are distributed to Somerset County Council to carry out its functions – highways and education etc. However, 15 % of the total, perhaps £375,000 in the case of the Bishops Lydeard development would be paid to the Parish Council to spend on infrastructure within the two parishes. Where a Neighbourhood Plan is in place, that rises to 25% or somewhere in the region of £625,000*. That equates to around £250,000 more that we get to keep in our community. So, when you come to decide how to vote in the referendum, please bear that in mind. If the Neighbourhood Plan is rejected, the community will lose control over many areas of planning policy, with Taunton Deane taking it back for themselves, we will lose around £250,000 to spend on local infrastructure and we will still get the same if not more development in the two parishes. So I’m sure you can see how I’ll be voting. Please support the Neighbourhood Plan in the referendum. *The figures used here are estimates based on typical house size. The actual number of homes has yet to be determined although the LDF sets a ceiling of 200.